Good morning, Jeanette. Yes, all is up and running. It switched itself over to heating during the night and I stayed warm and toasty. When the temperature rises with the sun, it should then shift itself to cooling. Keeping my fingers crossed. Busy day today. I've got Christ's Kitchen and then three meetings at the church. I'll be back this afternoon to catch up on everyone! 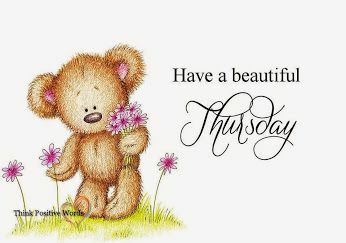 Wishing you a MUCH improved Tuesday!! Hi Lynn, I'm glad you were warm and toasty in the night. So far today is going MUCH better than yesterday - but of course, the day is still young. Wish it was Friday! LOL.....I want to craft again. After a weekend of fun it was so hard getting back into the "Play with me Ama" mode. Claire was so needy yesterday. Not that I don't enjoy my time with her but OMG she wouldn't even let me make the cake for last nights dessert without climbing up all over the counters. She's exhausting! LOL But boy I love the hugs! Kelly such a bitter sweet moment...........your excited for little man and his new high school adventure and on the other hand your like "Wait!!!!! My Baby!!!!" Where does time go? Sorry dd had the flu. Boy you guys down south have had that bug hit way too many times. Hope she's feeling better. Shelly...you are having a hard time shaking this thing aren't you. I sure hope all that sleep is helping to knock it out. Do you have any follow up appts? BTW when is new grandbaby due? I forgot. Lynn yay for the air conditioner!! Sure don't want to be in a heat wave without it. Lasagna sounds yummy! Is your dad still feeling better? At 90 it must be scary when he or your mom gets sick or fall. Hope he doing better. Jeanette what did I miss??? You mentioned you hope today is better than yesterday. Was it a bad day? Or just a Monday? lol If it was a bad one...I'm sorry and I hope today goes better. Here are my not so intricute eggs. 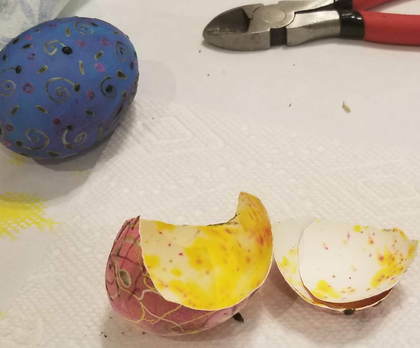 First pic is one of the broken ones and the dark blue egg on the left is with all the wax still on it. The blue was the final color. Now that same blue egg above is the blue egg in Now that same blue egg above is the purplish egg in the bowl after the wax has been removed. As I said we did super simple designes so Cindy could get use to the tools. Plus the kit came with different size Kistkas and I used the medium size one and she used the largest so she could see where the wax was going. I much prefer using the tiny one for better detail. Maybe next time. LOL So they are not great and not as detailed as my originals but thats ok...I'm not going to stress over it. Susan, YAY! So glad to see you - and your eggs. Lovely eggs!!! Yep, yesterday was horrible... but this is a new day. And hey, it HAS to be better than yesterday. LOL! At least that's my story and I'm sticking to it. Seriously, I know you treasure every moment with her, even though at the end of the day you may be exhausted. I had to set my alarm for Bible Study- 8:05, 8:10, 8:15 , 8:20 luckily I woke up at the 8:20 alarm, got there right on time..... I am watching the fitbit- still waking up 3-5 times every night- only remember one of them last night. I made Blueberry muffins to take with me, each week people may or may not bring sustenance.... They make coffee, but I bring my AM Irish Breakfast tea-steaming hot : ) Only 2 more sessions to go for this class. No Piano today- teacher is on Spring Break with her college daughter in Arizona. Baby shower is in April. Ray has decided to go for the week as well, and Katie is bringing her dog. We decided to put me on a plane to Denver, and they will swing by and pick me up, then I will fly back as well, so only 4 hours in the car. Ray's goal is to help Chris with tasks around the house that need to be addressed. My goal is to enjoy Colorado, hike a bit, eat, drink, and be merry! She will be 34 weeks at that time. Her mom and BF from home will also be flying out-not sure how long they are staying. Susan, the eggs still turned out very nicely! My neighbor was over Sunday, and she was telling us how exhausted she is after a day with her 3 yr old grandson. She also watches a 4 yr old on occasion and each family also has a baby under 1. She said she is feeling her age after being with them. Oh- yes, had one follow up appt last week Tuesday- she told me to stay in and did not "clear me"....and have another in 10 more days. Doc told me it would be about a month before I feel "back to normal" for myself. Lynn, glad they got the compressor in before a heat wave hits! Hope you had a good morning in the kitchen! Kelly- I am going to guess party for SIL was delightful and cake was eaten by all! I bet the baby had cake all over her face : ) My kids would have when they were little! I am not sure what to dive into today- I have lots to accomplish, so I guess I had better get to it and get off of the computer!!! Shelly, I'm glad you were able to go to Bible study - because it means you're feeling some better. YAY! Yes, yesterday was smile-worthy. Waving to everyone else - hope today is a good day! The transformation of your eggs is amazing, Susan!! These are so gorgeous!! I know your friends were excited to welcome you back to Bible Study, Shelly, especially with those warm blueberry muffins!!! I am so thrilled that you are feeling stronger and are able to get out and about again! 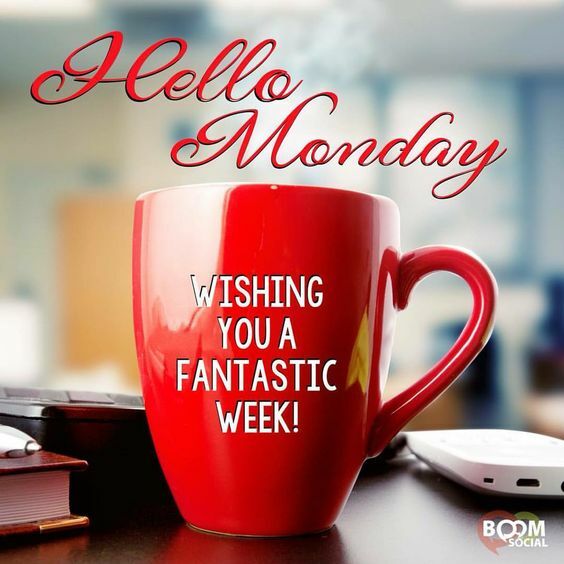 Jeanette, Monday is in the "way behind you" mirror, and I hope the rest of your week is wonderful!! It is always fun to see you up and going early every morning! Kelly, it's almost spring break for you guys!! I hope you plans include lots of family fun and relaxation!! Today I am driving a friend to San Felipe de Austin to see the museum with a private tour from DS. We also plan to take lots of bluebonnet pictures which DS says have popped up everywhere this week!! I'll post some here when I get back. 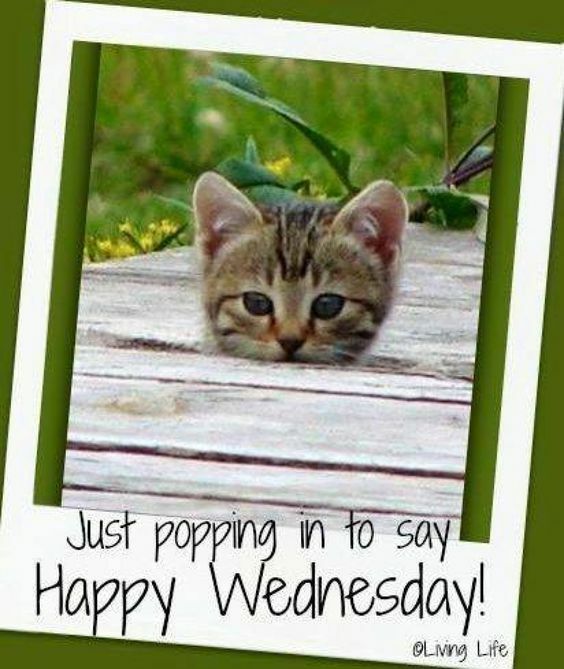 Happy Hump Day to all!! 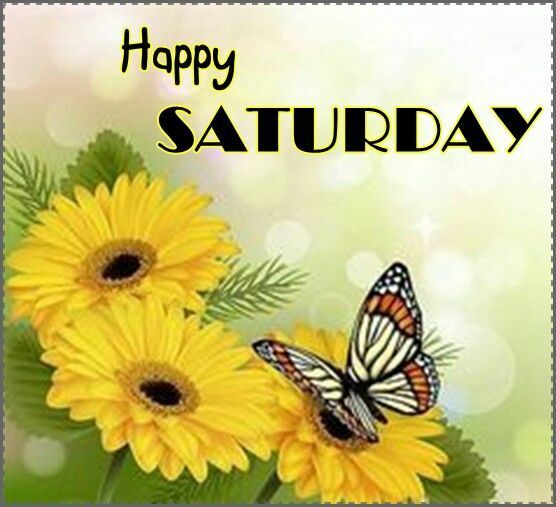 Hi Lynn... have a safe and enjoyable day! Sounds awesome!!! Shelly well I am sure hoping you will be in Tip Top shape for the baby shower. Sounds like it's going to be a great trip. Lynn I bet your now enjoying your new compressor. Cant live down south with out air lol. Enjoy your visit today and your private tour from DS. Such a great day to spend with a friend and see DS as well. Trying to come up with a Harry Potter Mini Album. Not sure what I want the base to look like but apparently I don't want it to look like my first base sample that I made yesterday. Back to the drawing board. lol I want to make it for my granddaughters birthday in May so I have time. Tori is in love with the Harry Potter series and has so far read the first 3. Not bad for an 11 yr old. My friend Cindy also wants to make a Harry Potter mini album for her SIL birthday (also in May). Cindy is not good with designing mini albums so it's up to me to come up with the type of base we both like. Love a challenge! LOL! Susan, I think you want a do-over on the eggs just so you can have fun crafting with your friend. I have a couple of cards laid out and waiting to be colored today- off to the creative space. 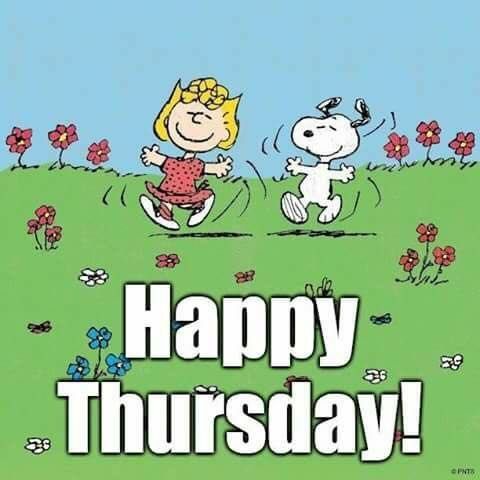 It is raining and a little gloomy here today, but that means green grass will follow! Perfect day to create! Shelly, I will be praying for both you and your husband while he's away. And just so you know... I don't think I'd want a turkey (of the gobble gobble kind) performing surgery on me either. Shelly I agree with DH. Stay home and away from Turkeys! Besides crafting is way better then Turkey. lol Gloomy here too. Looking forward to the first heavy duty rain where one moment the grass is all brown then BAM GREEN! mcschmidty and Forest Ranger like this post. Susan, I'm ready for some greenness in the yard, too. Another gloomy day today.........crazy weather today 40's..Saturday 50's.......Monday lower 30's geezzzzzz. Susan, Susan. You could have beat me this morning... I slept until 5:20 (which is late for me!) I've been rushing ever since, trying to complete the morning tasks (Morning devotion, SCS, FB, Instagram, Twitter... LOL!). Sunday through Wednesdays I try to go to bed by 10:30 - 11:00; read a chapter or so and be asleep no later than 11:30, as I know I'll likely be up by 4:00. The other nights I often stay up late (12:00 - 1:00) because I don't have an alarm set the next morning. However, other than Sundays (and when I'm away from home), when for some reason I'm able to sleep in, I'm almost always up sometime between 4:00 - 5:00. I think gloomy days should always be crafty days. I hope yours can be! For me, this is an exciting day - it's the last FB Live session of the Bible study of Job that I'm facilitating. YAY!!! So are you excited that its the "Last" FB live broadcast or are you excited that the subject is The Study of Job? heeheehee ! I'm a night owl, by nature, Susan... so I'd much prefer the day ended at 2:00 AM or later and didn't start until 8 or 9:00 AM... but now that I can't seem to sleep in the mornings, I try to force myself to bed earlier. I was exhausted yesterday, and when it came time for bed, I was all wound up... Stayed up until 1:30- up at 11:55-yikes! Half of the darn day is gone!!! Jeanette- my hubby went through a rough patch where he wakes up and cannot get back to sleep. He still does it on/off. I on the other hand, sleep like a baby! I was looking up the area where hubby will be working and where the hotel is in Istanbul. He asked me to look up if he needs travel shots (so called his doc today- I think he is OK since he had some shots when they sent him to India in July). He also asked me to look up if there are any Catholic churches anywhere near where he is staying. Looks like there are a few- not too close- a couple are Cathedrals, and they say mass in many languages, including English. Many posted they are so beautiful that you have to go see them even if you cannot go to mass. His boss is in Poland- he called him the AM and told him in May there are going to be layoffs, and they are asking people to volunteer. He said no. Oh dear, I am going to be praying alot! We are talking about selling the house next Spring, so sorting and pitching and hope we can take our time and do it right. I did make a card today- yeah! I am working on card kits I rec's from another group. What a fabulous idea! We do get to request what we would like in card kits- I asked for purple and Thinking of you or Sympathy. (In memory of my Mom). OK, I have a couple of hours, may try to knock off another card I have all laid out..... just needs coloring and final touches. Last edited by mcschmidty; 03-21-2019 at 02:17 PM.. Still juggling 14 things here so I'll just wave hello and leave out all the boring stuff! Shelly, I loved reading your post... and am praying with you regarding your DH's work and the situation in May! Kelly, you are so good at juggling! Keep sleeping all you can, Shelly!! Nothing helps the body like rest! Scary situation for Ray. You all will be in my prayers, as well! Good morning, Jeanette!! We are alike in being night owls! Most nights I am lucky to get 5 hours of sleep! Wish it was more, but it seldom is. Congratulations on completing you FB Live Bible Study. I would never be able to present something like that!! I am off to Sugar Land this morning to deliver my not-in-use-here exercise bicycle to my sister. She would like to give it a try for a while. While there, I will take advantage of the opportunity to visit Michael's where I get my card base paper (Recollections 110 White and Black) with my 40% off HL coupons and whatever Tuesday Morning is offering up in the craft section that catches my eye. Probably some 6 x 6 paper pads. Morning to Susan and Kelly!! 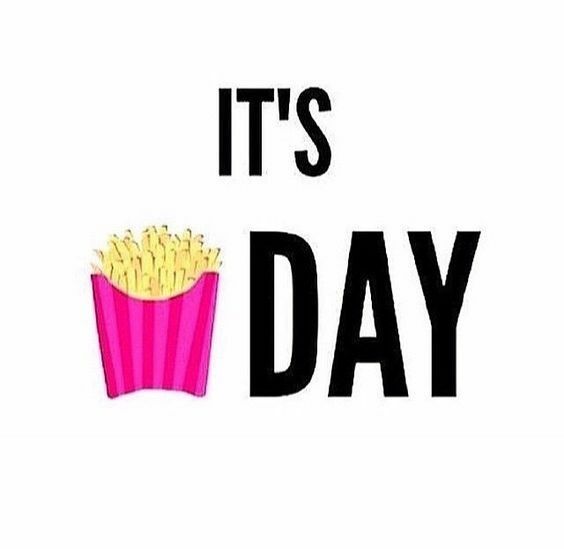 What are your plans for this fun Friday? I’m also a night owl and I have to do my best and sometimes only work when the entire house is quiet and that’s usually around 1 to 2 AM! I am starting to think that with Alice here I may not be able to Papercraft for long because she is quite a big distraction! Lynn I hope you’re able to get your paper ! I love the recollections #110 White card stock and you get so much more for your money ! The weekend plans here include taking my son to the next county up and dropping him off for a order of the arrow Boy Scout camp until SundaY. Today is the official last day of school and next week is spring break ! Yay!! Here's to all the Night Owls! Lynn, have fun shopping! I think that's a great way to spend a day - making a delivery that enables shopping! Kelly, what a sweet distraction you have!!! I'm sure you're loving every moment! So... DS heads off to camp the weekend away (and comes home smelly and happy). What will you and all the girls do this weekend? And YAY for Spring Break next week! Hmmm I'd sayt the heck with laundry Jeanette. Its the weekend and I believe that it is a day of rest for washing machines. LOL Card club sounds like fun. I love gathering with people, carding, and chit chatting. Enjoy! Loved your MEME yesterday! Yes Kelly, Alice will be a distraction the older she gets. heeheehee Claire has me running all over the house all day long doing basically NOTHING! Some of that time is spent playing but usually its because she needs a diaper change, or wants a snack, or sees a squirrel out the patio door then runs to living room window to see if the deer are there, then back to toy room, or her bedroom or my bathroom.....get the picture????? EXHAUSTING and no real time for cards unless she's taking a nap and then usually I'm too pooped! lol Yay for Spring Break. Its that time here too!!!!! Ah Lynn.....I too use the 110# Recollections from Michaels for bases. Love it! And now at least at ours they have added color packs to in the 110# So now besides my packs of white, cream and black I have bought a pack of greys to blacks and creams to browns too. So convienient. Not sure if I'd buy the blues pack or the reds pack but maybe. Have fun at Tuesday Morning. Love those little pads of Authentique papers when they have them. Last night I went to a friends and we made a few Easter cards for kids. I need 6 so thought I may as well get going on those.I think I have figured out the main base for the Harry Potter mini album too so thats exciting. Now to figure out when Cindy and I can get together to do them. Made my niece her fancy b-day card. OMG so darn cute. Its not on the blog yet but may be later today. Spring break started and Jim and I and Nick will be leaving for Kenosha for a little get-a-way. Finally going to go to Jelly Belly. It's Brock approved as I have heard. (snicker snicker) Jim wants to go to the Civil War museum and I want the Antique stores so lots of fun planned. We leave Monday and come home Thurs night after spending thursday at Gurnee Mills. For those who don't know what that is its a large outlet mall. And we will most likely have lunch at Rainforest Cafe. You beat us here again, Jeanette. It is stamping and laundry for me today, too. I also want to try to reorganize my mini inks so they take up less room and are easier to access. That may require a trip to the lumber yard. I am getting serious here!! Spring Break for Kelly and Susan!! And if I remember correctly, you both are celebrating birthdays about now. Didn't get cards out to you two, but do want you to know that I am saying a little birthday prayer for another wonderful year ahead for you both! The plans that you all have made sound like a wonderful break for all involved!! Got some great stuff at Tuesday Morning! I am most excited about this stamp and die set from Crafter's Companion. I plan to pair it with some great "angel's wings" sentiments from Our Daily Bread. Morning, Shelly!! Hope you are sleeping in!! Good Saturday morning - or afternoon?! Looks like everyone is hopping around! It's HOT hot hot here and we've been outside - not gardening, but cleaning up from the overgrowth behind the shed! I told my husband I am NOT going back there, lol! It's so overgrown and there was a snake at one time - no, no, NOPE! It's the last bit of fence we need to fix and have to clear out the growth of the neighbor's climbing vine - it is out of control in just one year! Little man is at camp - and it's a inky day for me after we are done outside. Alice is over at the other grandma's and I'm going to work on the kid's anniversary card. Monday is their one year anniversary! This time last year, I was a mess. Amazing how God turns it all around and makes it all so clear. He is good! I think I actually have a grand total of 2 anniversary stamps! Yep, birthday coming up and the kids keep reminding me! We have a full week/end I'm told and they won't say what, but I'm 'busy from Thursday - Sunday" I'm excited yet kinda nervous - I hope they at least tell me how to dress each time! Susan, how fun to go to the Civil War museum - oh my dh, son and dd's boyfriend would be so excited to see that! They are all history buffs. I'd go along with you antiquing! Jeanette, have fun at card class. Shelly, waving to you and hoping you are better! My daughter is in Key West (went last night, comes home Sunday afternoon) for a wedding - they put her up in the Margaritaville hotel and she said SWOON! all expenses paid! The wedding is on a private island - only available by yacht. Oh the woes of having such a job ........ LOL! This mama is happier than a bird with a french fry!!!!!!!!!!!!!! Last edited by MiamiKel4; 03-23-2019 at 08:55 AM..
Hmmmm...what could be happier than a bird with a french fry??? How about a Squirrel with a peanut? heeheehee Hope you got some crafting in this weekend Kelly. Grand kids wanted a sleep over last night and Tori wanted to craft so she made an Easter tree for their fireplace mantle. She did the eggs too. So cute. Shelly get lots of rest and Jeanette enjoy whatever your plans are. Well gotta go pack. I probably won't check back in until thurs night. YAY! 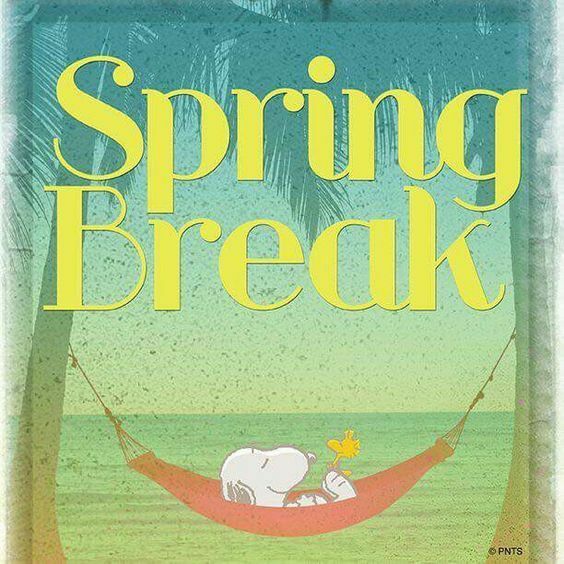 It's Spring Break! Enjoy every single moment of it, Kelly! Susan, such a talented DGD... just look at her tree. Love the pictures! And I hear you on no laundry - but for me that's Sunday. Short of a dire emergency, our washer/dryer are silent on Sundays. A day of rest for them - and for me. LOL! Lynn, what a treasure you found at TM! I can't wait to see what you make with it. Shelly, I hope you're doing better. Praying for you and yours as your DH heads out-of-country. Oh, and I might find time to pop into TM today, when I get to town. I wonder if I'll find any treasure to take home with me??? Quick pop in before I leave. Jeanette hope they don't "Bore" you too much at that board meeting. lol Silly me I am so lost without a calendar next to me that when you stated you won't be checking back in here until wednesday I was thinking "wow thats 1 long meeting" I thought today was friday...duhhhh. Not sure why I'd think that when I knew I leave today on Monday. Ugh I so need this vaca lol. Let us know if you find any treasures at TM. Love that store. Susan, you're a hoot... enjoy your vacation! I hope I catch you before you leave for your vacation - enjoy your day, enjoy your week! Love the pictures of Tori and her eggs and that she likes to craft with you I am sure, based on the cards Alice has 'made' that she will follow in her footsteps, LOL! Safe travels Jeanette, Hello Shelly, Hello Lynn! IT"S SPRING BREAK!!!!!!!!!!!!! and ............... i have the flu. But we're going to continute onward as its' a busy, fun week! Susan- smooth sailing up to Wisconsin!!! 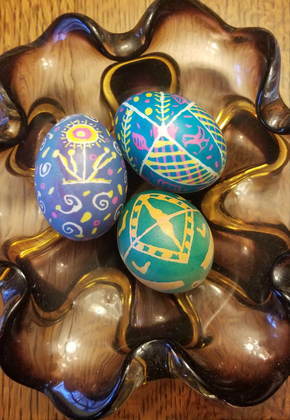 Love the eggs your granddaughter made- she is quite creative and so lucky to have a creative Grandma! Kelly- so sorry you are sick- but YEAH for Spring Break!!! Jeanette- smooth sailing down the highway! Or is it up.....anyway, be safe and enjoy your board (or boring) meeting! 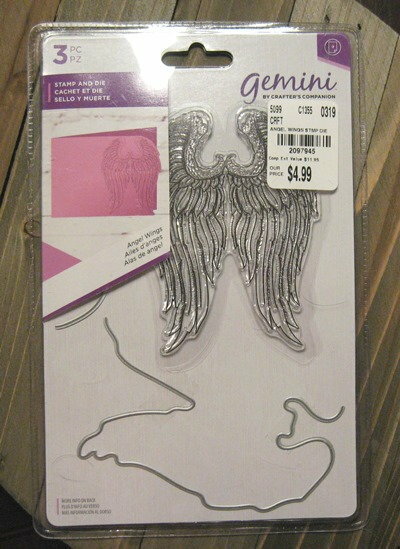 Lynn- looking forward to seeing what you make with your angel wings. I am going to stop in TM tomorrow- the ladies in our area store told me Tuesdays are the day they get their stock in here. Ray did not leave today- company credit card has not arrived yet, ETA tomorrow. They will not let him use his own card to book the trip or apply for the Turkish Visa.... He is shaking his head, though expedited meant a day or two..... He is disappointed to miss a meeting tomorrow with the group, but I am sure he will brought up to speed and will jump right into to working. I have had so many people telling me that it is a wonderful place to visit or a fabulous place, etc...so hope he can get out and see some sights! Since Ray was not leaving today, I invited my sisters and their hubby's over for dinner last night- we ordered Chinese and ate it here. Then, my sisters and I finished cleaning out mom's room ( sad but needed to get it done). I am glad they came, they took most of her belongings- clothes will go to my Aunt in Indy, art supplies sorted through, etc. It took us 3 hours for 3 of us, so it would have taken me a day or two..... I am keeping all of the unframed pictures, and found a huge tub FULL of pictures that I did not know were all photo's.... that makes my scanning job alot bigger. Will try to sort pictures by decades before scanning, so its not all mish mosh. Happy Birthday, Susan!!! Love that you get a whole week of celebrating with your trip up north!! Love Tori's fabulous Easter egg tree!! I see much of Ama's crafty talents have rubbed on on her!! Kelly, you are the only person I know who wouldn't let the flu slow down a spring break!! Hope you are feeling great soon so you can enjoy all the festivities!! Safe travels to you, Jeanette, as you and Hot Sauce hit the road again. See you on Wednesday! Shelly, so glad you sisters could be there with you as you all worked to get your mom's room cleared. What a treasure trove to find additional photos. Enjoy your crafting today. I actually out out and cleared 3/4 of a large flower bed in my back yard that had grown over with week which choked out most of the bushes which had died. I think I picked up a little poison something as I have a few spots on my arm and jaw. It can't be poison ivy as I am highly allergic to that and didn't see any while I was working. Tonight I am going to finish the last quarter of the bed and then make decisions about what to plant there. I will probably place my bluebonnet seeds there when they drop. More problems with the air. The new thermostat went out today. Service men will be returning tomorrow. Shelly, I'm glad your sisters came and helped you with that... I'm thinking it was a time for memories and sharing. Susan, I hope your birthday was fabulous! Lynn, oh no! Not more air problems! UGH!!! I hope you're fixed up - and cool - soon! Kelly, I'm praying you are feeling all better now!